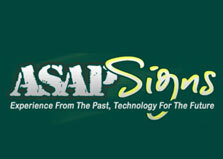 ASAP Signs specializes in building images that build business. As a full-service Sign company, we provide clients with a One Stop Shop for all of their advertising and marketing needs, from brochures to billboards. Offering an extensive range of signage systems that will meet any price point. We measure our success by the success of our clients. When we take on a new client, that client doesn't just get a new logo or banner, they get a marketing partner, and a full-service creative studio that is at their disposal from concept to fabrication. 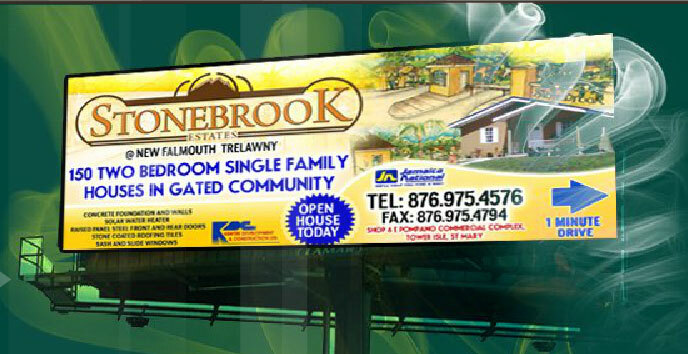 ASAP has manufactured and installed large quantities of signage for national branding campaigns throughout the Caribbean. Brands such as Moneygram International and Goodyear Tires. From banners to billboards, with the point of sale in between, ASAP has helped many to strengthen their brand image , and grow their businesses. As we start our next decade, we look forward to many more years as a premier provider of cutting-edge quality advertising services for businesses island-wide. Since our inception in October of 1997, Asap Signs has been focused on growing the needs of businesses, starting as a two-person operation targeting small businesses and hotels , the initial core component was large –format printing, twelve years later, Asap Signs has since evolved into a cutting edge full service sign/marketing co. offering our services to major businesses and hotel s throughout the island. Offering Same Day and Rush Service for those almost impossible to meet or last minute dead - lines, making the impossible, Possible! We thrive on quick turnaround times without compromising the final product. Don’t stress over last minute, For clients requiring extreme clarity and quality , and guaranteed best price point for quantity.